For those lucky enough to have never experienced the cycle of power and control by a partner, it can be concerning when we hear about a survivor who won’t leave an abuser. If your house is on fire, would you not run out the front door? You would … but you would probably also grab your dog/cat/bird/hamster on the way out, if you could. The same applies for survivors of abuse. Between a quarter and a half of survivors reportedly delay leaving an abusive and often dangerous partner because they’re afraid of what could happen to a pet they leave behind, according to psychologist and ASPCA senior vice president Randall Lockwood. That’s because research also shows 70 percent of survivors have reported that abusers have hurt not just them, but have threatened, injured or killed their pets. One major reason survivors may return to an abuser after leaving is because an abuser is essentially holding a pet hostage. Survivors attempting to leave an abuser often find that emergency shelters cannot accept their pets—concerns for others’ safety and well-being, or a lack of space in which to keep them are often the main deterrents. But thanks to a new law passed in December, the hope is more and more shelters will soon be able to reverse that stance. The PAWS – Pet and Women Safety – Act was signed into law late last year as part of the 2018 Farm Bill, expanding existing federal domestic violence protections to include pets and authorizing $3 million a year in grants for emergency and transitional housing assistance for survivors with pets. In addition, Clark says the PAWS Act adds a provision to the federal stalking law that includes threatening of pets as a form of stalking. The Act also makes sure vet bills are a part of crime victim compensation on a federal level. But perhaps the most visible change will come in the form of pet-friendly emergency shelters—the PAWS funding will allow either government agencies or private agencies to provide shelter for survivors with pets. Clark says she’s heard terrible stories of abusers who have done horrific things to pets as a way of exerting control over their victims. “We want all victims to become survivors and we know people’s connections to pets are very strong. We need a way to protect these animals so survivors can seek the help and safety they deserve,” says Clark. 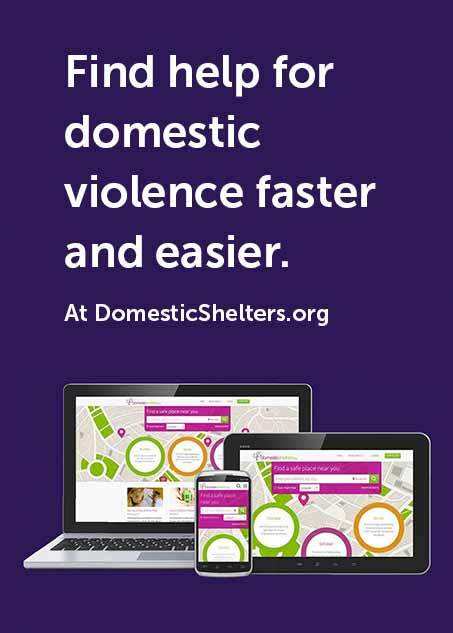 Only a small percentage of domestic violence shelters accept pets currently—fewer than 4 percent of shelters listed on DomesticShelters.org indicate they provide onsite pet sheltering, while 10 percent say they help survivors find offsite referral accommodations. In the meantime, nonprofit groups like RedRover provide grants to survivors needing emergency boarding or veterinary care for their pets. And do-gooding animal lovers like Jen Adams in Daytona Beach, Florida are starting their own grassroots organizations, providing emergency fostering for local survivors’ pets until they can get to a safe place. Research shows that keeping pets with a survivor can have trauma-healing benefits. The Human Animal Bond Research Initiative Foundation said simply interacting with animals raises levels of oxytocin in the human body, the feel-good hormone that lowers anxiety level and heart rate, and has positive effects on PTSD and depression. Need to escape now with your pets? Search the Animal Welfare Institute’s Safe Haven directory for shelters that provide space for your animal or which help you find emergency boarding or fostering. And before you go, make sure you read “Planning for Pet Safety” for tips on how to escape safely with pets in tow.